The fascinating old city of Acco is found in the northern part of Israel, about half an hour's ride north from Haifa. The modern city of Acco, that surrounds it, is actually a bit boring ..or maybe it just seems a bit watered down against the historical old city. 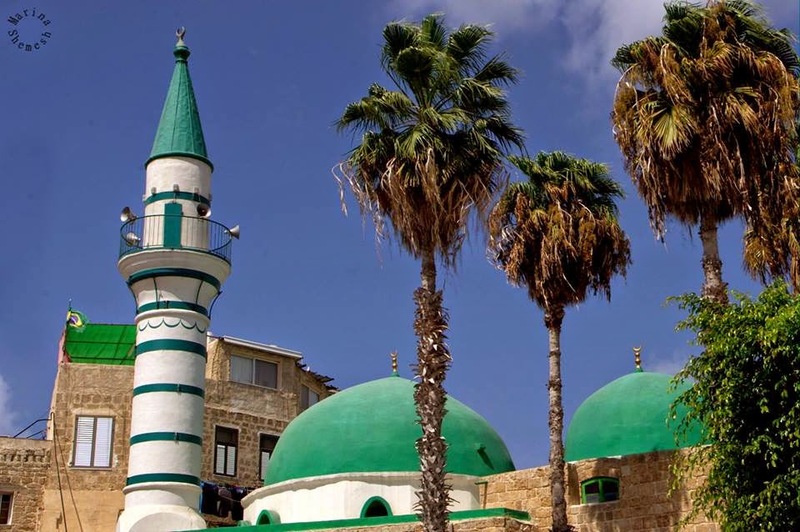 You can however spend just five minutes in the ancient old harbour city and you will be transported in the blink of an eye to the times of the British mandate, the Ottoman empire and to when the Crusaders ruled the Holy Land. You will surely walk were Alexander the Great, Julius Caesar, Marco Polo and Napolean Bonaparte have walked so many years ago. There is a lot to see and explore and many little alleyways to get lost in. If you really want to explore Acco's old city I would suggest a pair of comfortable walking shoes, enough water to drink, a map and more time than you think you need. And oh yes, be prepared for some strong smells from the fish stands dotted throughout the market. 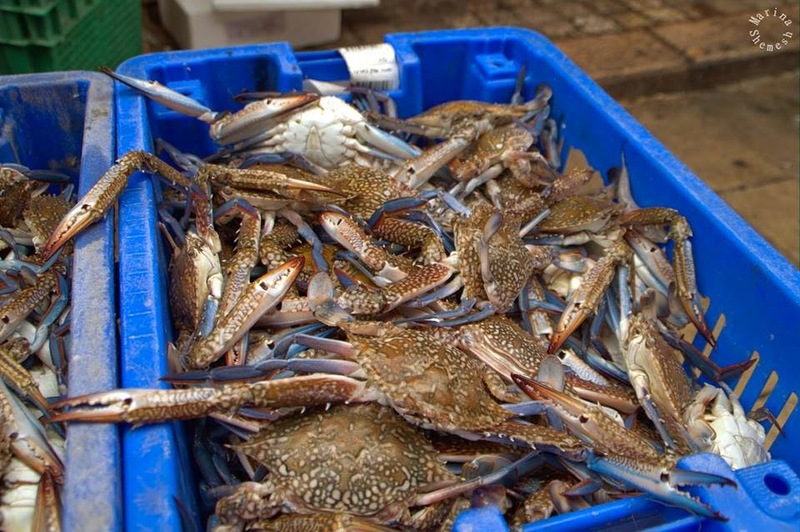 Fish stands with the day's fresh catch are dotted throughout the markets. Every time I visit Acco, I see another part of the old city that I have not yet seen before. So here is a small (ish) list of ten things to see and do in Acco. Some are free and for others you will have to pay a fee. Parts of the ancient city walls are slowly crumbling away but the most of them are still intact. 4. Visit the market place that are filled with spice shops, fruit and vegetable stands, fish stalls and restaurants. 6. If you want, you can go and have a look at the Al-Jazzar Mosque which is the largest mosque in Israel outside of Jerusalem. Be sure to be modestly dressed though. Minarets and palm trees tower over the ancient buildings. 7. If you are lucky, you may find an old Templar's church open so that you can have a peak inside like I did. I consider myself very lucky to finally be able to peek inside this old Templar's church. I think (not 100% sure) that it is one of the few Roman Catholic churches in Israel. Most of the ancient churches here are Greek Orthodox. 8. For 10 shekels you can go for a short boat ride and see the old city from the sea. 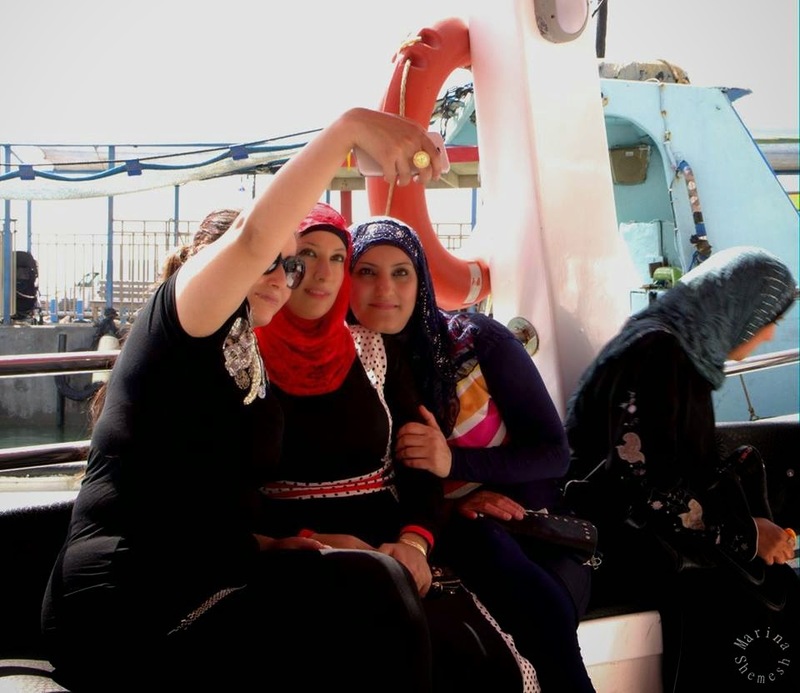 Arab women taking selfies while we wait for our boat to fill up with people so that we can look at Acco from the sea. 9. Have a look a the Turkish bazaar. The stalls in this little market sell mostly souvenirs and clothing. It smells a bit better but is not as interesting as the main market. 10. Pay a visit to the Citadel. 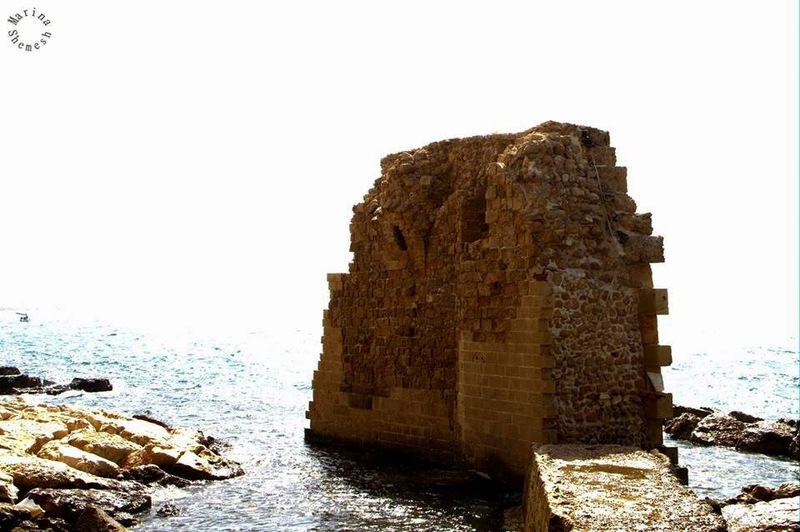 This is my favourite historical site in Acco. 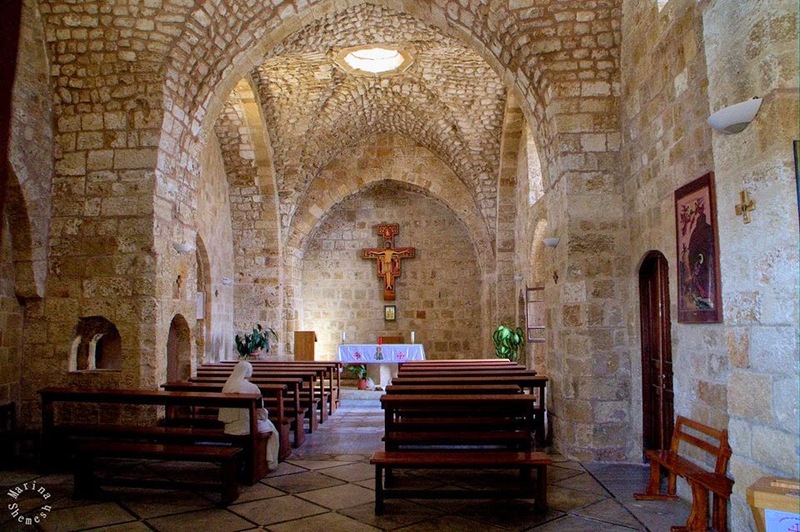 It was built by the Crusaders and was used as a prison during the British mandate time. And of course, there was a daring prison break in 1947 by members of the Jewish underground. At first glance (and smell) Acco will seem a bit run-down and neglected but it is that very "rough-around-the-edges" side of it, that make it such an interesting place to visit. Make sure to come and experience this authentic and history-rich city. This sounds wonderful, I haven't been to Acco for way too long!